Take note of your garden’s condition. 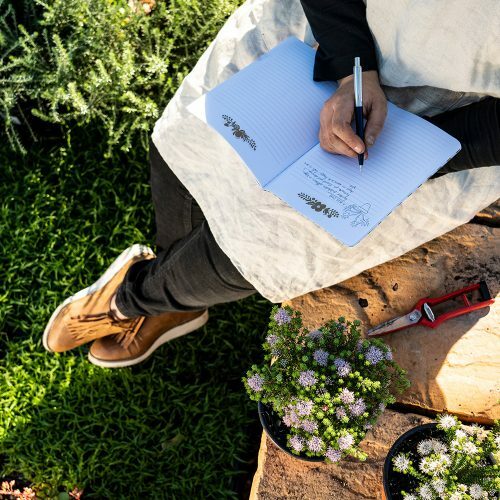 Pull out your journal, take a stroll through the garden and start jotting down a few notes. Establish which plants have survived the winter and which haven’t. Identify areas that may need to be spruced up or filled in. Finally, note any garden design ideas you planned during winter that you would like to implement in spring. Once you have a clear idea of the condition of your garden and where you would like it to be, you’re better able to plan your next steps. If you’re planning a complete revamp but aren’t sure about the way forward, book one of our garden experts for a home consultation. Clean up. Whatever plans you may have for spring gardening are easily foiled by rusty tools or a messy garden. Clear away debris and compost fallen leaves (loosely, as they may still contain beneficial insects coming out of hibernation) to start your season on a clean slate. Your gardening tools may contain traces of fungi or insect eggs that are harmful to your spring plants, so remove larger clumps of soil with a hard-bristle brush and clean and dry them thoroughly before starting afresh. Feed the soil. Add a little pep to your soil before spring gardening begins. Conduct a soil test to determine what nutrients may be missing, then use natural and organic fertilisers, as well as compost, grass clippings or mulch (a great way to use up all those fallen leaves) to establish a natural equilibrium once again. This will also help improve water drainage. Know what to plant in spring. Consult our monthly gardening guides to find out when to plant spring garden plants and vegetables in the months to come and establish your own planting calendar. Some cool-season crops that can be planted early in the spring include broccoli, Brussels sprouts, cabbage, cauliflower, lettuce and onions. Any warm-season crops, such as brinjals, peppers and tomatoes can be sown indoors and planted outside later in the year. Sow spring crops indoors. While it’s still too cold outside for fragile seedlings, start sowing spring and summer plants in the home or greenhouse to give them a head start. Paper cups, home growing kits, eggshells, egg cartons and small plastic pots are all great vessels. If you’d like more detail on growing early spring vegetables in the home, read our easy sowing guide.